Hey it's Saturday and you're already here, so won't you be so kind as to leave a little bloggy love behind. It's so easy to do. How do I leave comments on a blog? This article only covers Blogger's commenting system. 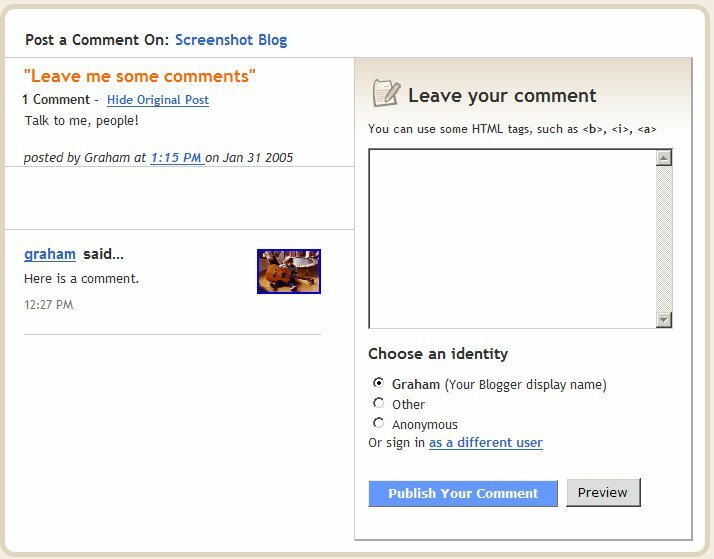 Some Blogger users have installed third-party comment systems (e.g. Haloscan, Enetation, etc.) which will work differently. Happ Saturday! Hope you enjoy your weekend. What I really want to know is how you changed the comment link to read differently (heaping spoonfuls of love in your case)? I've scoured the Settings tab and looked at the HTML under the Layout tab and must be missing something! Help?! Britta, thanks for asking, I'd be glad to help. Go to your DASHBOARD, click on LAYOUT, right under your header it says BLOG POSTS in a rectangle. Click on EDIT, towards the bottom on the right hand side. A new link should open and that's where you CONFIGURE BLOG POSTS. It's the 6th line down. Type in whatever you want, scroll down and hit save. Close that link, I always hit save on the LAYOUT page also just in case and voila, no more generic comment heading. Can I steal this and post it on my blog???? I have people asking me all the time how to leave comments and I keep meaning to do a post about it!!!!! Jill jill Bo Bill is in town so i am going to meet her in a lil bit and we are gonna go shoppin-Hope your saturday is Fan-friggin-tastik! Hi, found you from I Should Be Folding Laundry. Great idea for a how-to blog. But....as a non-blogger, non-website non-techno reader, needs a little more help for us. 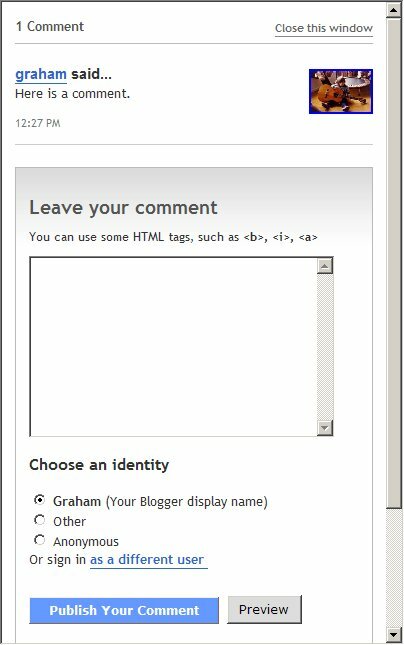 The first time I tried to leave a comment on a blog with my name was pathetic! :Love your writing. Are you really Meg Ryan's mom?? Lora,I get asked that question a lot. Of course I'm Megryansmom, why would I make that up. It's just not THE Meg Ryan that you're probably thinking of. Thanks for stopping by. I'm glad I stopped by! Great tips and loved the rundown of who's who and all of that. LOL! YOu're so funny! XOXO here's a comment sister! Here is a lovely comment for you! Enjoy your day! Nice post. I'm sure this will help many. I like your blog site and enjoy the reading. Thanks, keep up the great work. On of these days Suzie I, like you will also decloak and even create my own blog like you two. I still cannot think of what in my life would be worth blogging about. Its like leaving a message on an answering machine, once it beeps to leave the message, I lose all the words. Could you please pass the brownies? That is a wonderful idea for a blog post, then maybe my lurkers will come out of the woodwork and post some more! Such a good idea for a post! I would like to borrow, if I have your permission. Some bloggy love for you....will be linking this post into my T and T shortly - thanks for doing such a good job! What a great post! I've done one on making sure you have an email address connected to your blog account so when you LEAVE me bloggy love, I can reply to you immediately, without having to go to your blog and leave my reply on one of your blog posts, yada yada. Thank you so much for the instructions! I really appreciate you taking the time to detail that out! I've been racking my brain on my own and now need to think of something catchy to put in there! I learned something new today and again thank you for the great instructions!! !